You may have installed roofing on your home before, but roofing instillation for a business often has requirements that homeowners are unfamiliar with. If you need commercial roof instillation in Fort Myers, FL, here are some tips to consider when planning for the job. This step isn’t particularly different from a residential roofing job. Make sure your contractor is aware of developments in the roofing industry, is a member of local or national associations and attends seminars for further education. This information will help you determine the quality of the work you may receive. You might be required to obtain a certain number of bids before hiring a contractor for commercial roof instillation in Fort Myers, FL, and Asking contractors the same questions will help you know you are receiving services that suit your needs. Who will provide toilet facilities? How often will cleanup be done? What are your obligations as a business owner or property manager? Many commercial roofing jobs require re-roofing or recovering an existing roof. Your contractor should be able to tell you how many roofing systems are already in place on your building, and if they need to be removed. You should be sure that you know in advance how much any changes in your project will affect the cost, especially because there could be unpleasant surprises in the re-roofing process. As a property manager or business owner, you want to be sure the roof of your building protects your property. Following the above steps will help you plan for commercial roof instillation in Fort Meyers, FL. Are You in Need of Gutter Repair? Do you know if you need gutter repair in Fort Myers, FL? If you are experiencing problems with it or are unaware of when it was installed or how long it has been around, it could very well be time to have it fixed. Here are simple ways to tell if you need this type of work done. Most of the time, cracks and holes mean the gutter is getting old and needs to be fixed. Occasionally, applying sealant can resolve these issues, but in most cases it requires a professional to deal with it. If you notice these signs, keep in mind that this could lead to serious issues later on if not resolved. If the gutters seem to be pulling away from the roof, this is a huge sign that repairs should be around the corner. If this is happening, they are coming unscrewed and could easily fall down. When this occurs, it is possible to just have sections replaced rather than the entire gutter. 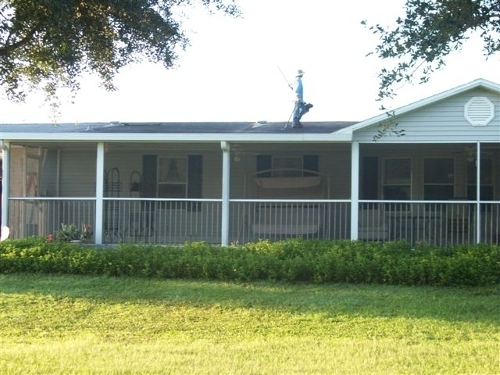 If this is the case, quality gutter repair in Fort Myers, FL is easy to find and this will not pose a problem for you. When paint begins to peel on your exterior walls, this indicates that water is being squeezed between the roof and gutters, causing it to drip along your walls. This is serious because it can quickly lead to mold or leaks inside the home. If you manage to catch this problem early on, consider yourself lucky. In that case, you may only need small repairs, rather than a full replacement. If you find that any of these problems exist right now, it is time to locate a company for gutter repair in Fort Myers, FL. All of these issues can typically be resolved by a professional at an affordable cost if they are located early enough.